The Honda Insight is one of the best hybrid electric vehicles that you will come across in the market today. Manufactured by Honda from the year 1999-2006, and then later on from 2009-2014, this is the car that every driver wants to lay a hand on. It was the first ever production car to feature the Honda Integrated Motor Assist System. Honda introduced its 2nd generation of the Insight to the Japanese market in February 2009, and a month later the car was introduced in the United States. The Insight is mostly billed as the cheapest hybrid car alternative in the market today. The instrument panel that is found on the dashboard of any car represents the simplest way through which a vehicle can be able to communicate with a driver. Like in the case of the Honda Insight Dashboard Lights, it allows the driver to keep up with status messages of the vehicle. If there are any complications, you will be able to get the details through the dashboard function. Any issues like failing brakes or battery problems will most definitely be pictured on the dashboard. However, this will only be made possible through the use of the right Honda Insight Dashboard Lights. So, do you have a dashboard light on? Well, you need to understand what these tiny lights represent so that you are at peace when you are cruising on the highway. If you can know what specific Honda Insight Dashboard Lights represents, you will be able to protect yourself, your passengers and the other drivers who are on the road. 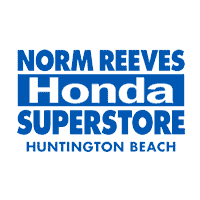 In order to be able to know your car better and also allow yourself to respond well to dashboard signals, the experts at Norm Reeves Honda Huntington Beach might just offer you the quality services that you require. Many drivers do not know how to use dashboard lights and therefore some little education will help a great deal. Honda Insight Dashboard Lights: Color is king! Whenever we are discussing the issue of dashboard lights, it is always important to appreciate the fact that color plays an important role. This applies to Honda Insight Dashboard Lights and a range of other car models and brands. The color displayed on the dashboard indicates the seriousness of the problem at hand or the issue. In most instances, a Green color indicates that the system is functioning as required. Yellow, on the other hand, might insinuate that something ought to be changed. Last but not least, Red shows that there is a serious issue which needs to be attended to as fast as possible. These Honda Insight Dashboard Lights indicate one or two things. The engine might be carrying a low amount of oil pressure, or the pressure has been utilized until the gauge has failed to work. If you don’t take heed of these warnings, you might seriously damage your car’s engine. When you seek this light, you need to contact the towing service so that you can have your car delivered to Norm Reeves Honda Huntington Beach. This is another important part of Honda Insight Dashboard Lights. This indicator mainly appears when the brakes are engaged or rather when there is a very serious issue with brakes. If you are certain that the emergency brakes are not engaged and you continue to see this signal, you need to seek the assistance of a mechanic.